Availability : GeeGee is no longer available. Silver babies 3 weeks old. Both are from KotyKatz Silver Spoon and Poolside Rascal Cats of KotyKatz. 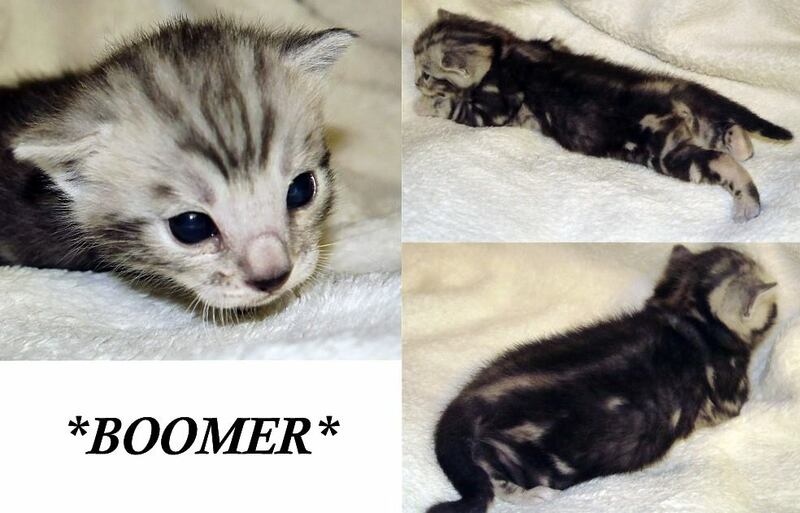 Boomer is going to be a open rosetted silver marble boy with great color that will be a crisp black on gray. He will be fun to watch develop over the next weeks as the centers fall out of his pattern and more light gray color shows through. His pattern will have a great horizontal flow! For more information on Boomer contact me. This entry was posted in Bengal Kitten Gallery, Gallery and tagged bengal kittens, boomer, silver bengal. Bookmark the permalink.